GG Rants Again Oprah, Doo Dah & More! Do you think Fawnskin should be on Oprah? Click here to find out more and maybe Fawnskin can make it big. 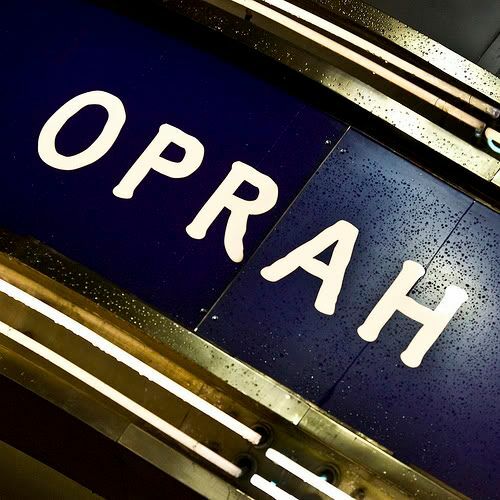 Speaking of Oprah–thanks to all of you who voted. I have not heard back and discovered that they are actually doing a reality show for people who entered to compete. Personally, that makes me think Winfrey has sold out. One of the reasons I was interested was that she has set a standard of pretty great topics and launched some useful shows. Sorry, not up my alley but then they haven’t called either! I am not impressed in the least by the responses given by the groups involved (or that had past involvement in the past 33 years of Doo Dah). But the OMD’s lame response and the focus on the promotion of other events really took the cake. So, it set me off once again and I knew you would want to see it. In case you missed the first report on the Doo Dah Cancellation–it is here. Then there is this other letter…so stay tuned. Thunderstorm Goes Boom, Boom, BOOM! So how did you like that thunderstorm? I loved it and fortunately turned off and unplugged the computer before the power went off after some pretty intense lightening strikes and thunder. It gave me time to catch up on some of my magazine scanning and other tasks. The perk? Everyone else around So. Cal. was miserable from the heat–but as usual we live in paradise! Plus, we always love more water for our thirsty forest. One thing for sure around these parts–people seem to think they need to share things with you especially when it comes to other folks. I headed down for a tradeshow this week and was “warned” that my ex-boyfriend would be there. Uh, I knew that already but thanks. In case you didn’t hear, we’ve not been an item for a long time nor do we maintain contact. When I came back to the mountain–someone else wanted to bend my ear about him. Eesh, is there something in the water? Here are the facts–don’t miss him, don’t want him, don’t want to know–but thanks anyway. So, Captain John said they are having “Babes on Boards” on Thursdays down at Fawn Harbor & Captain John’s Marina. However, in usual Fawnskin fashion, he didn’t share any details–so take an amble down there to get the story or give him a call at (909) 866-6478. Flower Girls? This weekend is the Big Bear Women’s Club Flower Show at The Performing Arts Center which will be open to the public from Noon until 5:00pm on Friday and from 9:00am until 2:00pm on Saturday. Admission is free but for more info (909) 866-6777. Friday Nights over in Big Bear Lake has two of our own Fawnskin Folks playing music! Join Peg & Mike for all the fun from 5:00pm until 8:00pm and tell them GG sent ‘cha. This entry was posted on Friday, July 16th, 2010 and is filed under Mountain Lake Resort, Small Town Living.